Being at the far western edge of the Eastern Time Zone has its benefits, particularly if the calendar reads summer and there’s a 3-wood in your hand. That’s just one reason the “pinkie” part of Northern Michigan, with the lovely town of Traverse City at its heart, rocks as a golf destination from May into early October. During the high season of late June well into August, a round with a view of that big lake to the west and north, or a rolling expanse of deep green woods, or a rich cherry orchard, can last well past 9 p.m., followed by a hearty Upper Midwest meal washed down some damned good local craft beer and fine lodging seasoned to taste. And the golf is simply great: Classic forest-parkland by Robert Trent Jones Jr., rumpled Midwest links from Arthur Hills, modern masterwork from Jack Nicklaus and, a bit further afield, all-around excellence from the likes of Tom Weiskopf and Traverse City (or “TC” to locals) resident Tom Doak. Since Michigan claims to offer the greatest concentration of public courses of any state in America, we could spend a lifetime there playing them all, no doubt meeting some unfailingly friendly folks along the way. But for now we’ve found a home up north — several homes, rather, in the form of Petoskey-area resorts such as Boyne Highlands and Bay Harbor (also owned by Boyne, whose third property in the area, Boyne Mountain, rounds out an impressive triumvirate) and Grand Traverse Resort closer to TC. Let’s head out. No. 7 at Bay Harbor's Links Nine. Tucked at the south end of Little Traverse Bay about 20 minutes up Highway 31 from the Rockwellian vacation hamlet of Charlevoix, the Inn at Bay Harbor has the look and feel of a classic 1920s hotel, though it opened in 1998. Now part of Marriott’s Autograph Collection, it’s the centerpiece of a sprawling residential-meets-recreation development, with six stories of exquisite rooms in the main inn as well as several cottages next door. Watching a take-its-time summer sunset over the bay from a suite’s veranda, with the pool below and the lake’s ancient glacial waters just beyond, puts you in the perfect mindset to tackle Bay Harbor Golf Club’s three Hills nines the next morning after a buffet breakfast in the movie-set-like Sagamore Room. Though the Preserve nine has its adherents, the Links and Quarry nines are the most requested 18-hole combo. Hill brought his most creative and sometimes whimsical tendencies to bear on both sides. 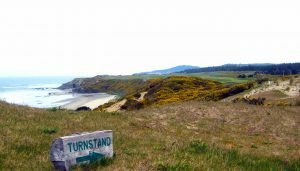 The Links is just that, open and wide for the most part, large greens with lots of movement, tumbling along sandy cliffs about a mile west of the hotel. The opening trio are truly stunning, especially No. 3, whose green opens up if you take the pro line over a ravine to the left, but No. 7 is a permanent memory bank par 5 that plays slightly uphill to a cliffhanging green with nothing but sky and big water beyond. The Quarry is right there visually, too, starting off through a forested corridor before breaking loose into a former, yes, quarry, with pretty second homes sitting above the sheer carve-outs but never interfering with the matter at hand, which is survival. Forced carries over water and wetland are legion, twists and turns are the rule and at a couple holes — the epic par-5 5th, for instance — one needs every ounce of his or her strategic juice. The final pair play right into and along the lapping shore of Lake Michigan, with the 9th green ensconced on three sides in a ring of pine and fir. It’s pitch-perfect. It’s a scant 20 minutes from Bay Harbor to this all-season resort community that dates to the 1960s. In the summer months, ski hills yield to hiking and biking trails and ziplining rigs. In a convention center next to the alpine-styled main lodge, a local group offers dinner theater several nights a week. There are kids everywhere, and they’re having a ball, as are the army of golfers who fill four courses, work on their games at the impressive Boyne Golf Academy (the legendary Jim Flick was the head teacher here for decades and mentored Brian O’Neill, the current PGA Director of Instruction), eat at the eight restaurants (again, they excel at breakfast buffet in the Main Dining Room, and the burgers at Slopeside Lounge and Seminole Lounge are outstanding) and stay in the lodge, rental townhouses, cottages or homes. It’s an all-encompassing, stay-for-a-week-or-more type of place, which is why so many golf-crazy Michiganders from the southern part of the state flock there when the weather warms — yet stays far cooler and less muggy than at home thanks to lake breezes. 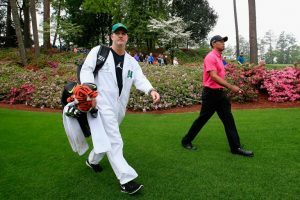 The main challenge is choosing which course to play if you can’t play them all. For fans of classic East Coast design, the Donald Ross Memorial Course — consisting of 18 replica holes that mirror the master’s originals, right down to green size and elevation change — may be the winner. Some consider the Arthur Hills the toughest of the bunch, and the most visually pleasing, while the Moor is a bit tighter and demanding some local knowledge. 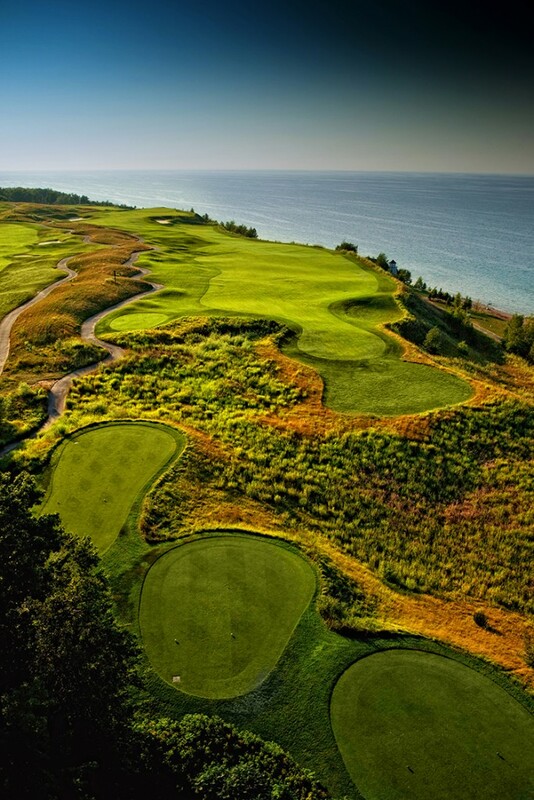 But for a pure, all-star northern Michigan experience, it’s tough to beat the resort’s first course, The Heather, a Robert Trent Jones Sr. design that opened in 1966. 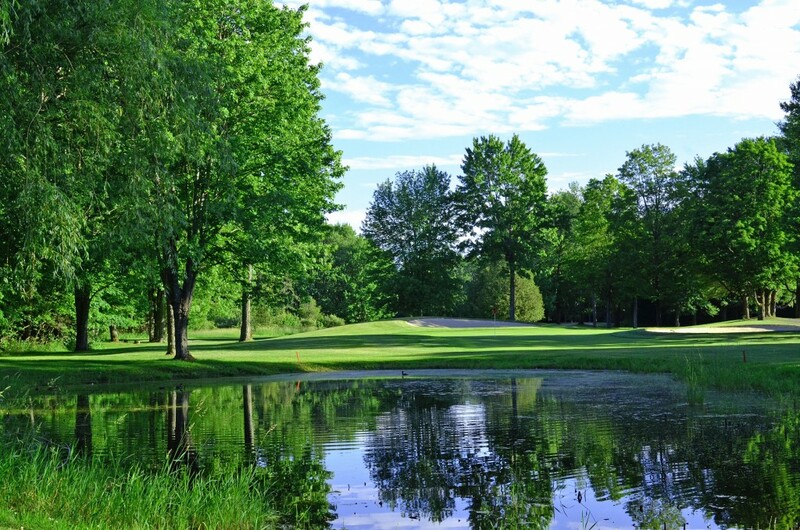 Just a couple holes into the front nine and you’ll feel as if you’re in the forest primeval, surrounded by thick woods, playing over and around natural ponds and wetlands to push-up greens ringed in old-school bunkers. The back nine heads back into civilization somewhat, but retains that soothing parkland feel. Play it early in the morning or late in the afternoon, when the shadows are long and the wildlife is active, and it’s hard not to fall in love. If you’re looking for a dash of urban comfort among the TC region’s rural vibe just 10 minutes from the fine Cherry Capital Airport, the Grand Traverse Resort is where to set up shop, literally. Not only is the resort’s impressive, gleaming tower a favorite among golf gangs, honeymooners, families, and meeting groups large and small — with stellar, well-outfitted guest rooms and suites and the first tees of three courses just a couple 9-irons away — it’s also home to a mall with plenty of credit card-burning options (we’re partial to the candy and ice cream store). On the top floor is Aerie, a high-end restaurant offering floor-to-ceiling views of Grand Traverse Bay and those lingering Michigan sunsets; just off the lobby are Jack’s Sports Bar and the Sweetwater American Bistro, and across the parking lot at the clubhouse is the Grille, a fine 19th hole serving all-out breakfasts, burgers and sandwiches that’ll get you through your 18-hole battles with plenty of fuel to spare. So where to play? In the same vein as Boyne Highlands, Grand Traverse offers a classic-style tight track with small greens (the original Spruce Run, which hosted the Michigan Open for several years) and a more player-friendly, open routing (Gary Player’s Wolverine, which took over that same tournament a few years later). 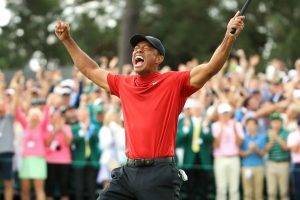 Then there’s The Bear, whose hole-to-hole beauty — woods, lakes, meadows and such — belies a beastly relentlessness served with smile, as in Jack Nicklaus’s knowing grin. He pulls out all the design stops here and leans heavily on his Pete Dye influences, with fall-off fairways, serious bunkering and multi-tiered greens. You’ve gotta bust it off the tee on par 5s like No. 3, without finding the murderer’s row of bunkers up the left side, if you want a shot at getting home in two by clearing a creek guarding the green. The next hole is as pretty a par 3 as you’ll find, but again, it’s all carry, as is the second shot on No. 5, one of those holes that ratches up the risk the more club you hit from the tee. The Bear’s claws virtually never pull back through the round, even at a short, downhill par 4 like No. 12. And the epic finisher is fit for a U.S. Open, demanding a big drive and water-clearing approach with only the slightest bail to the left. In other words, Jack asks you to maintain his brand of patience and smarts to make it through with minimal scars. Good thing a nice, cold local IPA can be found on tap inside, just in case. The call here is to play it once, take your lumps and take notes, then go at it again with a solid game plan. 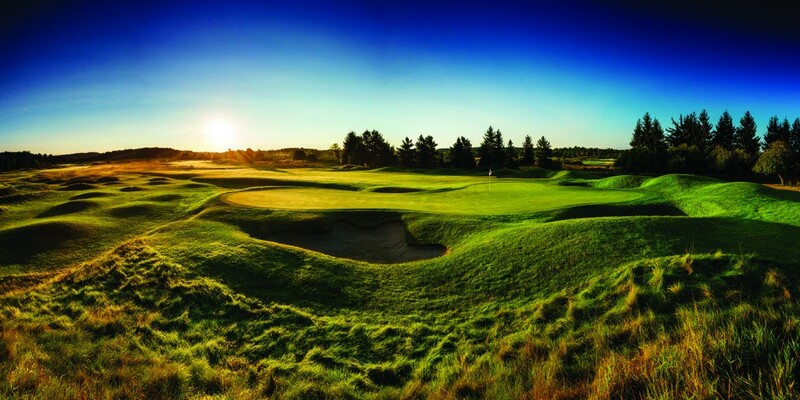 In fact, any trip to this part of Michigan amounts to a solid plan, and there are several other multi-course resorts to throw into the mix — Garland, Treetops, Shanty Creek and Forest Dunes, where The Loop, Tom Doak’s latest “reversible” 18-hole creation, debuted in June to augment Tom Weiskopf’s award-winning layout. Add in other outdoor pursuits like boating, hiking, fishing for trout inland or bigger breeds in Lake Michigan, plus some wine tasting (TC is renowned for its varietals, and you must try the local cherry wine), spa-ing and sightseeing to nearby Sleeping Bear Dunes or, further north, Mackinac Island, and you’re set for one sweet far-north summertime soiree. Just don’t hurry sundown.